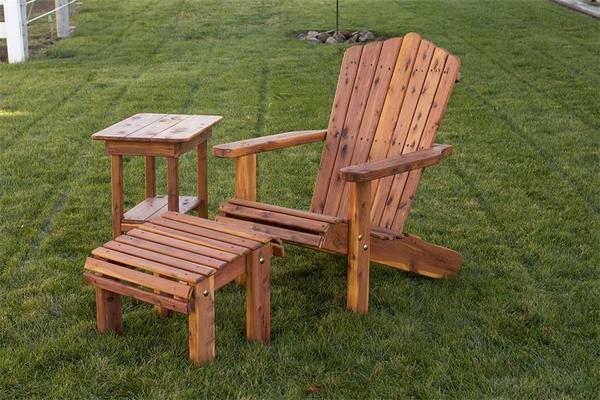 The most comfortable chair for outdoor terrain is the Adirondack chair and the Amish Made Adirondack Chair is built to perform. Adirondack chairs are set wide to sit evenly on any terrain. The back is high and supportive, and the wide armrests serve as mini tables to hold your drink, book, phone and more. If you haven't added a set of Adirondack chairs to your outdoor scene, now is the time. These solid wood beauties are made of red cedar wood that's strong and stylish and we're certain you'll like the price. DutchCrafters offers a large collection of outdoor furniture including solid wood and eco friendly poly furniture. Email or call us today with any questions. Thank you for shopping DutchCrafters.